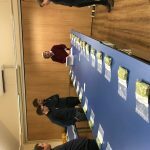 Charles Faram hosted another AromaFest yesterday, but this time to assess hops bred in a special collaboration project with the British Hop Association. Huge steps and scientific developments are happening to take this project forward in developing the hops of the future. The Charles Faram team were asked to attend a briefing before assessing five groups of new variety hops. Team members had to individually asses the samples for aroma intensity and characteristics, so as not to interfere or influence each other. 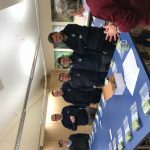 Peter Darby, project leader was careful not to give any information away in the briefing apart from how the varieties were grouped together. The groups show the various remarkable considerations and scientific work that goes on behind the scenes in hop development. 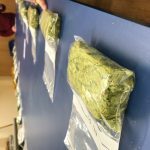 These hops had been assessed at least twice before. Many, but not all had gone through final brewing trials, so the objective was to make sure that they remained consistent and still hold the same rating. This makes perfect sense when you think about it and is close to Charles Faram’s mindfulness of monitoring quality and consistency. These varieties have never been assessed before and each one had come from one different single plant. If they are interesting then they will be taken to plot on a hop farm for growing trials. 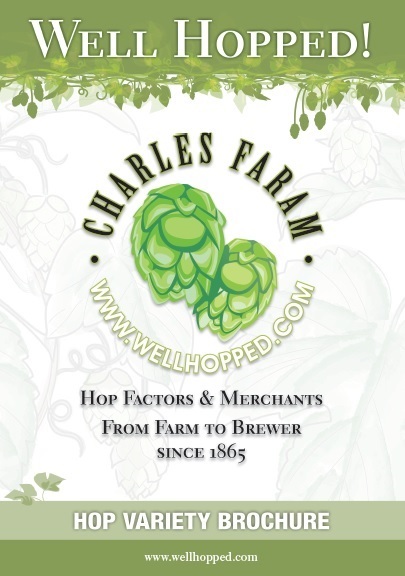 An interesting part of the briefing indicated that Charles Faram and the BHA had not noted these hops when selecting in the yards for the first three years, but in their fourth year, all samples were picked out. These have produced something of merit or were an initial write off. They have had no special treatment since, but have since stood out. There could be many explanations including the very dry season. These could have reacted differently where others suffered. Classed as other plots. These plots have been dormant and not part of the Faram’s project. The project is called WINTER CHILL and the assessors are looking for plants that can survive the winter. As with group C, there are various reasons why they are in the selection, but it is aroma that the team is looking for. 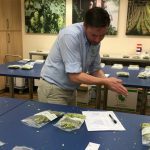 Looking at the molecular genetics of hops. 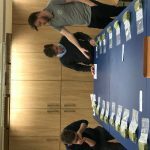 This is a new and exciting angle to the hop selection process. Ten randomly selected sisters with Cascade in their heritage. The team hoped that these samples show segregation of flavourings in plants that are all true sisters, with Cascade as the mother and the same top-secret father. 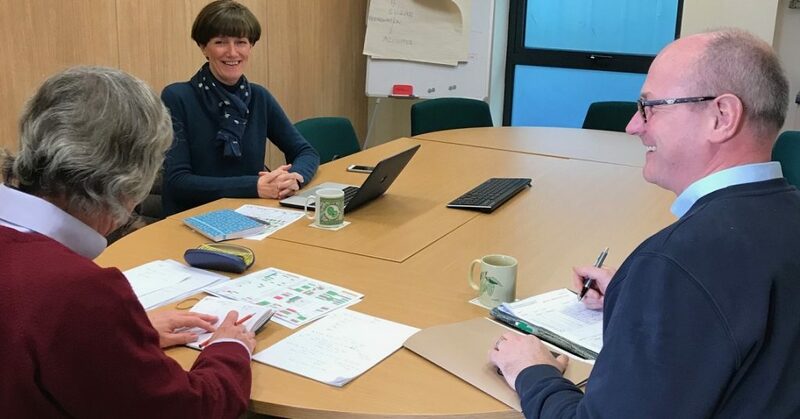 While the assessing continued, Peter Darby, Ali Capper and Charles Faram’s Paul Corbett met to discuss the project and then along with Will Rogers, Hop Development Manager were informed of the results after the aroma session.